As an industry leading fertilizer supplier, we believe that very few soils are fertile enough to supply the nutrients which healthy plants need. While grasses will survive without fertilization, they will not look and perform to the standards we set for them today. 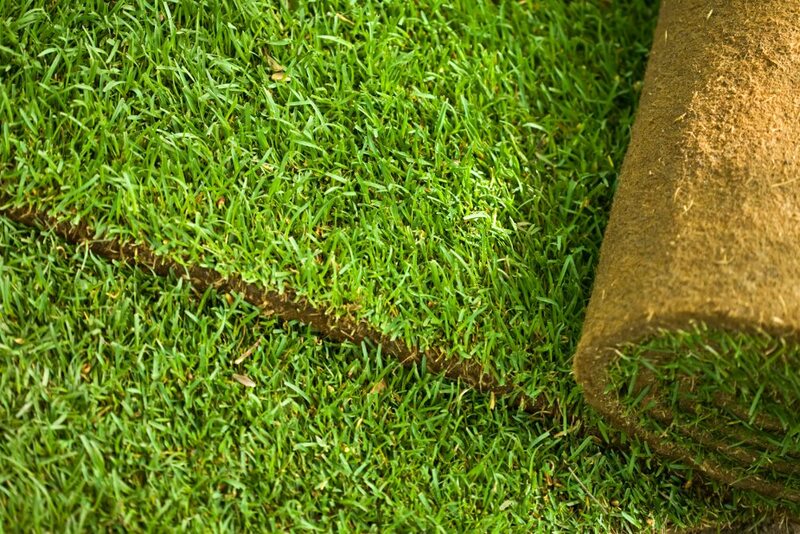 A healthy, green, lush lawn is generally the result of a correct fertilization program. There are many opinions about how often and when to fertilize. In general, when living in the Midwest such as, Elburn, DeKalb, St. Charles, Geneva, Aurora, Naperville, Batavia, Elgin and Yorkville, Illinois you should fertilize a minimum of two times per year, but the lawn enthusiast should fertilize a minimum of four or five times per year. Treat your lawn similar to your body. It needs to eat and drink water to grow and survive. Fertilizers are composed of three essential elements: Nitrogen, Phosphorus and Potassium (N-P-K). These are the three numbers you typically see on a bag of fertilizer (20-10-10). They represent the percentage of each element in the bag. Nitrogen promotes foliage and its green color. Phosphorus promotes root development, while Potassium promotes disease resistance plus the flowering and fruit development in plants. Always follow labeled directions when applying fertilizers. Just like your body, too much of a good thing is not always good. This fertilizer is great during sod installation and seeding, providing essential elements required for rooting and disease prevention. A 50 pound bag covers approximately 6,500 sq.ft. There are great general maintenance fertilizers that will promote top growth, provide a deep green color, and keep your lawn looking beautiful throughout the summer. A good program for this blend is to apply around Memorial Day, 4th of July and Labor Day. 20-10-10 contains quick release nitrogen and 22-2-2 contains slow release nitrogen. A 50 pound bag covers approximately 12,000 sq.ft. This is a balanced fertilizer blend for use in late fall (Halloween) or early spring to provide an equal balance of all three essential elements. This blend should be applied at least once a season. A 50 pound bag covers approximately 6,500 sq.ft. This pre-emergence fertilizer for crabgrass must be applied in early spring (before May 1st) to help prevent the germination of crabgrass which typically starts appearing in July. A 50 pound bag covers approximately 7,500 sq.ft. Maintenance fertilizer with Trimec pesticide to control dandelions, clovers and other broadleaf weeds. This is a post-emergent herbicide and should be applied when you start to notice dandelions or clovers coming up. The application must occur when grass is wet and 2 days before a rain storm or watering. Remember to always water your lawn within 48 hours after fertilizing to dissolve the fertilizer into usable food for the root system. If you’re a weather watcher, try to apply fertilizer prior to rain. Dunteman Turf Farms welcomes both new and existing clients who are in need of fertilizer services. Our team is knowledgeable, experienced and ready to work with you. Please contact our team directly at 630-557-2900 with any questions you may have. Dunteman Turf Farms is a premier fertilizer supplier throughout Elburn, DeKalb, St. Charles, Geneva, Aurora, Naperville, Elgin and Yorkville.